This page provides information to interested parties on the Strong Breeze Wind Project as it evolves and as information becomes available. We are committed to transparency and want to promote a two-way exchange of information. 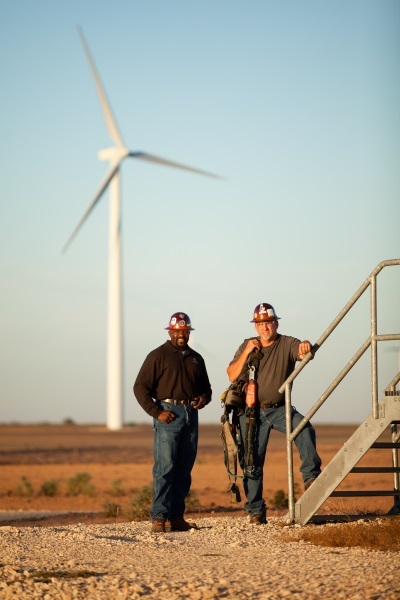 We encourage you to send project questions or comments to strongbreezeinfo@invenergyllc.com. Anticipated construction start of the Strong Breeze Wind Project. 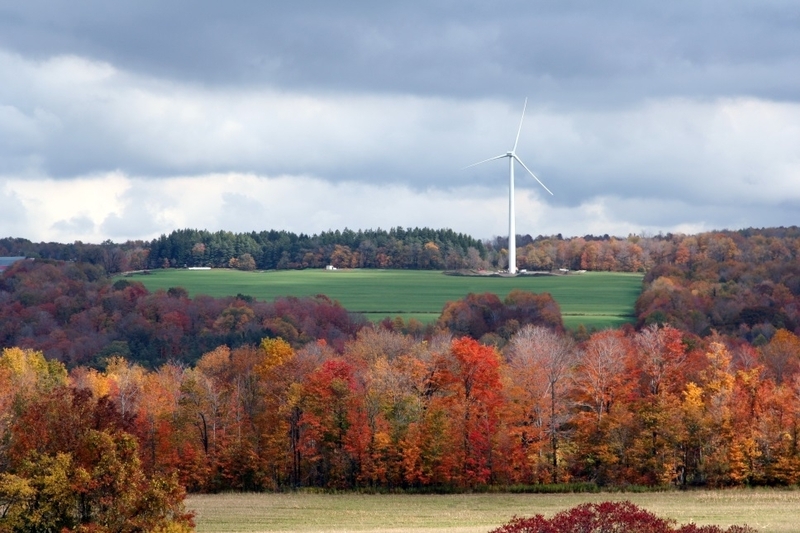 Strong Breeze Wind Power Partnership is developing a 57.5 megawatt (MW) on-shore wind project, the Strong Breeze Wind Project, in the Municipality of Dutton Dunwich, Ontario. The project will generate the clean energy equivalent needed to power 18,000 homes, while bringing growth, economic benefits, and jobs to the community. The proposed connection point for the Project is at the 230 kilovolt (kV) transmission circuit north of Aberdeen Line and west of Iona Road, in Dutton Dunwich. 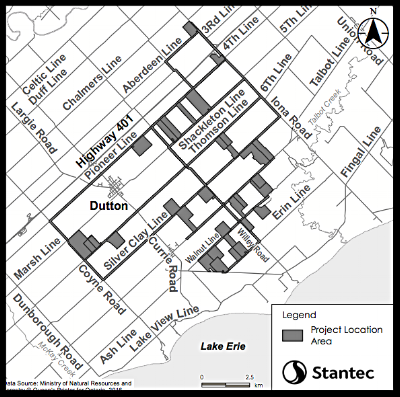 Located in the municipality of Dutton-Dunwich, in Elgin County, Ontario, the Project is sited on privately-owned agricultural lands and municipal rights-of-way. The Project location is generally bounded by Chalmers Line to the north, Coyne Road to the west, Iona Road to the east and Erin Line to the south. Click the map to explore on Google maps. The LRP was a competitive bidding process held by the Independent Electricity System Operator (IESO) to procure up to 540 MW of clean renewable energy. As part of the Long-Term Energy Plan, the Ontario government set goals to reduce carbon emissions and build a cleaner and sustainable energy system. The Strong Breeze Wind Project will play a part in helping Ontario reach its goal of 50% renewable energy by 2025. For more information on the LRP, please visit the IESO website: www.ieso.com.